Copyright 2019 George W. Bush Presidential Center. All Rights Reserved. Candidates and representatives in a responsive government must listen to the priorities of the people rather than hold to party dogma -- or risk backlash. Successful businesses are extremely knowledgeable about and responsive to the needs of their customers. When companies lose that focus, they can pay a steep price. There is a graveyard full of products that few wanted. 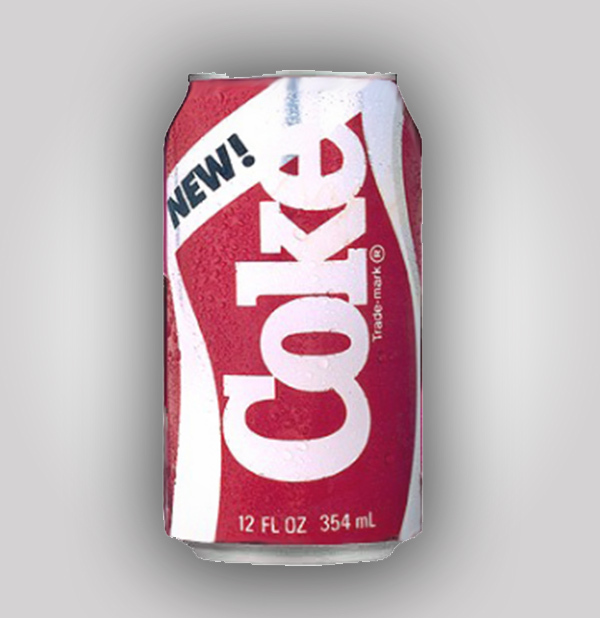 Remember New Coke? Crystal Pepsi? McDonald’s Arch Deluxe was an attempt to market a more sophisticated cheeseburger to adults. It cost the company $300 million. 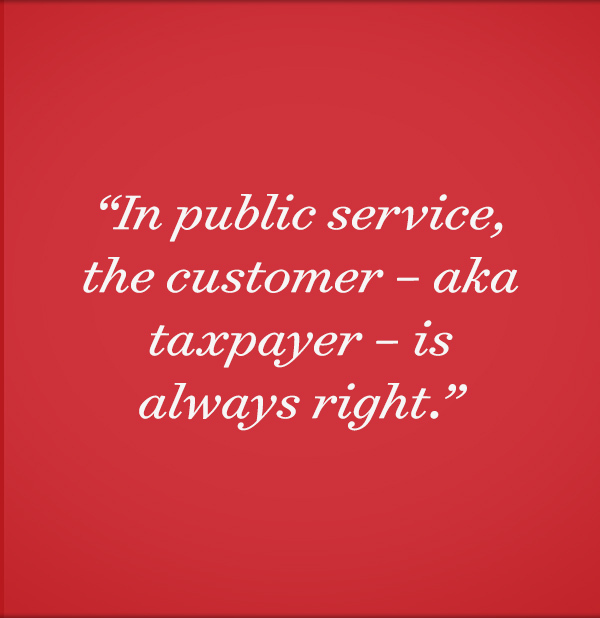 In public service, the customer – aka taxpayer – is always right, too. It is critical for elected officials to serve by addressing their constituents’ priorities. In a world of decentralized media and zero barriers to entry for opinion-altering posts, the days of controlling the information machinery to guide public sentiment are gone. A leader can influence public opinion, but not form it or take it in a direction that it would not otherwise go. Coca-Cola replaced its original formula with a new one -- much to the dismay of loyal fans. More importantly, given the diverse nature of our country, candidates must attempt to weave through a forest of issues and knit together a meaningful agenda to appeal to enough electoral votes. When that agenda misses the mark, candidates can be in for a rude awakening. From a purely statistical perspective, 2016 should not have been a “change” election. After all, we had an incumbent party in the White House sitting on interest rates near all-time lows; a statistically full-employment economy; low energy prices; a robust real estate and stock market; and an agenda that accomplished virtually all of President Barack Obama’s major priorities. However, something else was going on beneath the surface that the electoral results ended up expressing. In fact, truth didn't much matter. This election was visceral. With a gulf existing between the governing and the governed, an electoral uprising was inevitable. It wasn't about the policy. The struggle was between the incumbent’s policies and the people’s priorities. At the federal level, the struggle was evident across much of the country, quite distinct from the populous coastal states. 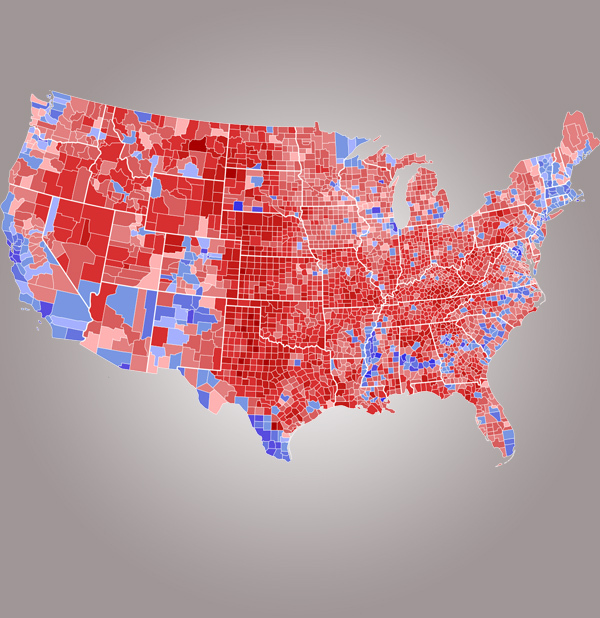 County-by-county map of the 2016 electoral results shows a disparity between coastal high-density areas and the rest of the country. A Trans-Pacific Partnership (TPP) treaty ready for a vote. 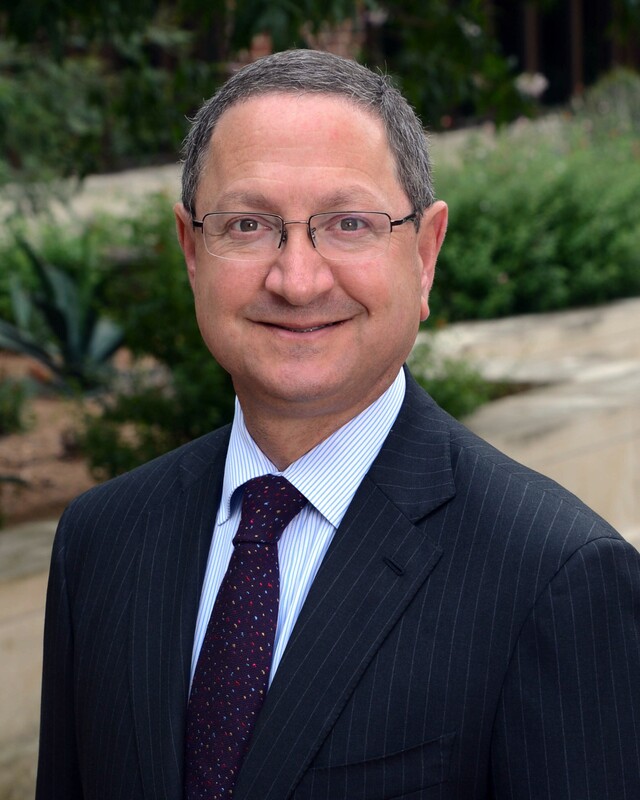 Ken Hersh discussed economics in his fall 2016 article for The Catalyst Finding Tacky Furniture and Dignity on the Road to Economic Freedom. This is the root of the discontent. None of the public’s top five priorities was among the hallmark achievements of the administration, even though the economy and employment did rebound sluggishly and unevenly due in large part to an accommodative Federal Reserve. In the foreign policy area, dealing with enemies like Iran and Cuba while trying to disengage from the Middle East where terrorism actually thrives were not where the public wanted a then-new president to focus. Reducing health care costs was eighth on the 2009 list. Yet the ACA primarily addressed access to health care among the uninsured. While those with coverage have increased, costs have also increased for most while choice has decreased for many. The electorate was upset because it was asking for cost reduction but instead got increased access without reduced costs. Similarly, dealing with global trade was 17th and addressing global warming was 18th on the list of America’s priorities. While [President Obama's] agenda served his vision of what would be best for the country over the long term, he generally failed to connect that agenda to the daily priorities of the people. Donald Trump pounded three of the four items on that list, even if his plans were either unworkable or unknown and despite the vitriol of his message. It is interesting that “Jobs” was a priority when the country is sitting on reports of statistical full employment. With a two-party system, it is critical that both parties work hard to serve the people and address the people’s priorities. 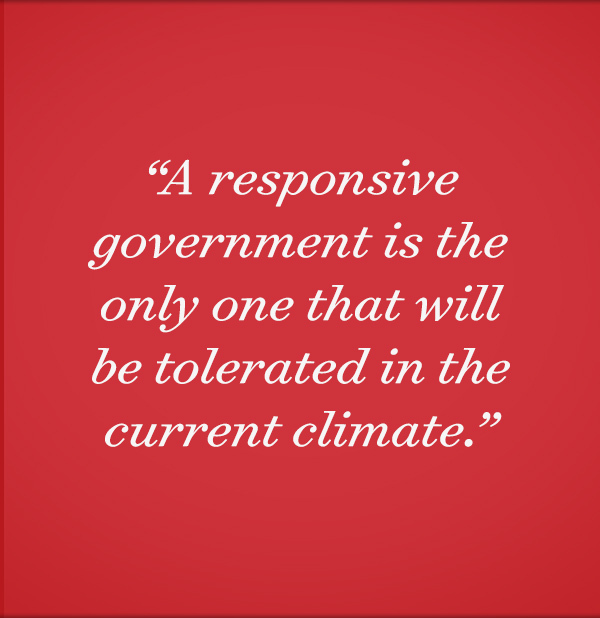 A responsive government is the only one that will be tolerated in the current climate. The key question is how to square this perspective with the goal of being a principled leader who governs from a core set of beliefs even if those beliefs are not the most popular? The answer is two-fold: First, it is important that an effective leader communicate with the electorate how his or her priorities will serve the priorities of the public over the long term. For example, arguing that the TPP is beneficial for jobs here at home and would actually result in higher wages for the average American worker would have aligned that issue with the nation’s priority. Just saying that the Trans-Pacific Partnership is a good treaty to combat Chinese influence and should be adopted because trade is good in general fails to argue for it in a responsive context. Rightly or wrongly, opponents of TPP connected their rhetoric directly to wages and jobs. Second, a principled leader, if effective, will build enough trust and goodwill through responsive work that, when it comes to an issue that may be more esoteric on its face, the public should be supportive. In other words, build up some political capital first and then use it wisely. I didn’t say it would be easy, but the most effective leaders are able to pull it off. Good governance is paramount. Today, good governance means serving the people, even if the cost is moving away from a narrow definition of respective party dogma. Blind adherence to party labels doesn’t serve anyone but those governing and could lead away from serving the nation’s priorities. When leadership veers from national priorities, it is perceived as being in the hands of special interests and more focused on making a few happy at the expense of the many. Backlash against this feeling of disenfranchisement is inevitable. A strong two-party system has helped breed stability. Yet it can be difficult for people who do not see all issues through a Republican or Democrat lens. When dogma takes precedence at all costs, much of the public becomes frustrated. It can be difficult for people who do not see all issues through a Republican or Democrat lens. When dogma takes precedence at all costs, much of the public becomes frustrated. As servant leaders, strong parties should maintain a healthy dose of intellectual honesty that will allow them to break with partisan dogma when facts present themselves accordingly. The result will be more responsive parties with larger tents, represented by more connected elected officials. 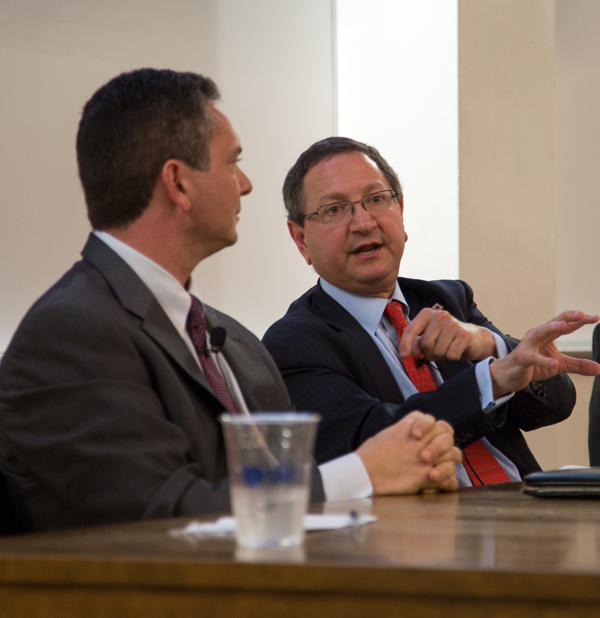 Kenneth Hersh (right) discusses freedom with SMU's Jeffrey Engel at The Catalyst December 2016 event. For example, as an energy executive, I am presumed to be an anti-environmentalist. However, I believe it is not only possible, but also commonplace for energy industry participants to be responsible environmental proponents. I take seriously the responsibility of providing cheap, plentiful energy while doing it in an environmentally sound manner. This position does not fit the exclusive platform of either party; it has components of both. In a similar vein, President George W. Bush’s “compassionate conservative” message was seen as an oxymoron to those critics on the left, enslaved by party dogma. To President Bush and the Republicans, it was a genuine and meaningful lodestar for responsive policy formulation. The recent election has reminded us that the customer is always right and, if President Trump is to have a prolonged honeymoon, he will need to keep a sharp focus on addressing the highest priorities, even if it crosses traditional party lines. Hopefully, he will be met by legislators willing to be intellectually honest as well. If he is successful, he could re-define the party labels for a long time to come. If he fails, we could find ourselves with another "change" election on our hands. The recent election has reminded us that the customer is always right and, if President Trump is to have a prolonged honeymoon, he will need to keep a sharp focus on addressing the highest priorities, even if it crosses traditional party lines.